A new partnership with Centennial High School! Home » A new partnership with Centennial High School! Posted by HFHRiverside in Centennial Campus Chapter, News | Comments Off on A new partnership with Centennial High School! We are proud to announce our partnership with the newly established Corona Centennial High School Habitat for Humanity Campus Chapter! 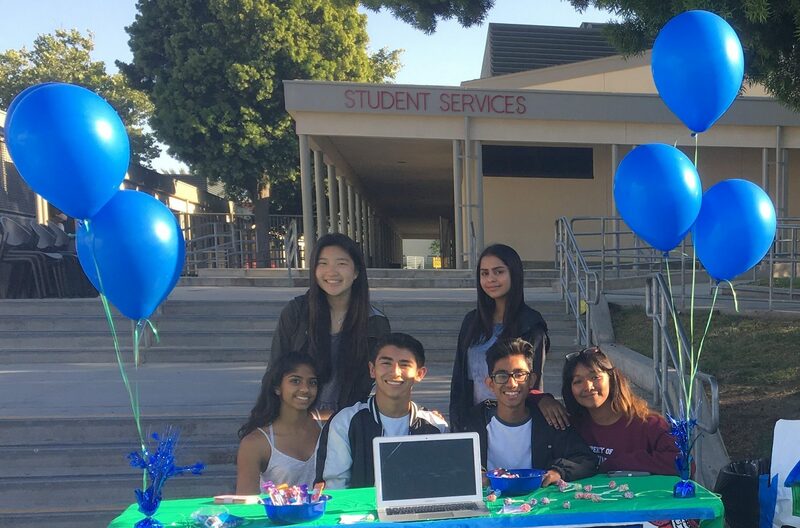 This student-led, student-initiated organization was established by two high school sophomores, Eddie Galvan and Akhil Pulianda, who are passionate about helping people build better lives for themselves. Now a group made up of over 40 students, they are ready to lead the charge at their school to help fulfill Habitat for Humanity’s vision of a world where everyone has a decent place to live. Their work will include helping set up volunteer opportunities, educating their school and community around issues related to housing and Habitat, fundraising to support more housing opportunities, and speaking with community officials to prioritize shelter. We are proud to partner with the Corona Centennial Campus Chapter and excited to see the impact they make in the community.